There is currently 1 condo listed for sale at Ashford Place. So far this year 0 units have sold and in 2016, 5 sold. $355,000. 2753 Maitland, Ann Arbor. 2155 sq. ft., +1000 in finished lower level, 2 bedrooms and 3.1 baths. $377,000. 2716 Winter Garden Ct., Ann Arbor. 1961 square feet with 3 bedrooms and 2.1 baths. $350,000. 2781 Maitland, Ann Arbor. 1961 square feet with 3 bedrooms and 2.1 baths. $335,000. 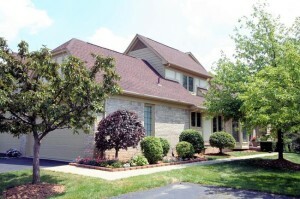 2723 Winter Garden Ct., Ann Arbor. 2253 square feet with 2 bedrooms and 2.1 baths. $325,000. 2726 Maitland, Ann Arbor. 2416 sq. ft., +1264 in finished lower level, 3 bedrooms and 2.1 baths. $300,000. 2785 Maitland, Ann Arbor. 2235 sq. ft., 460 in finished lower level, 3 bedrooms and 2.1 baths. In 2015, 3 condos sold with an average sale price of $351,667 and an average price per square foot of $167.00. The 5 sold last year have an ASP of $337,400, down 4%, and an A$SF of $158.00, down 5%. The slight decline in values only occurred after a fairly steady rise since the low in 2009. To keep up with the real estate market at Ashford Place, or to find out what your condo might be worth, call The Bouma Group today at 734-761-3060 or email info@bouma.com today. See more Ann Arbor Condo complexes here!